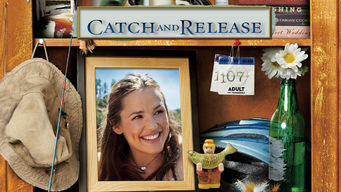 How to watch Catch and Release (2006) on Netflix United Kingdom! Sorry, Catch and Release is not available on British Netflix, but you can unlock it right now in the United Kingdom and start watching! With a few simple steps you can change your Netflix region to a country like India and start watching Indian Netflix, which includes Catch and Release. We'll keep checking Netflix United Kingdom for Catch and Release, and this page will be updated with any changes. Catch and Release is not available in United Kingdom BUT it can be unlocked and viewed! A young woman rebuilding her life after her fiancé's death uncovers hidden secrets that make her feel as if she's mourning a stranger. The man she was to marry is dead. Now all she has is his friends, his house ... and a little surprise from his past. There is a way to watch Catch and Release in the United Kingdom, even though it isn't currently available on Netflix locally. What you need is a system that lets you change your Netflix country. With a few simple steps you can be watching Catch and Release and thousands of other titles!